There have been over 20 Kickstarter campaigns dedicated to getting some 3D printer out of a garage, but only a dozen have met their funding goals. Because a new one pops up every month or so, I’ve decided to start numbering our coverage. With few exceptions, we only cover the ones that have met or are sure to meet funding. As I’m writing this, the Zortrax M200 falls into the latter category. 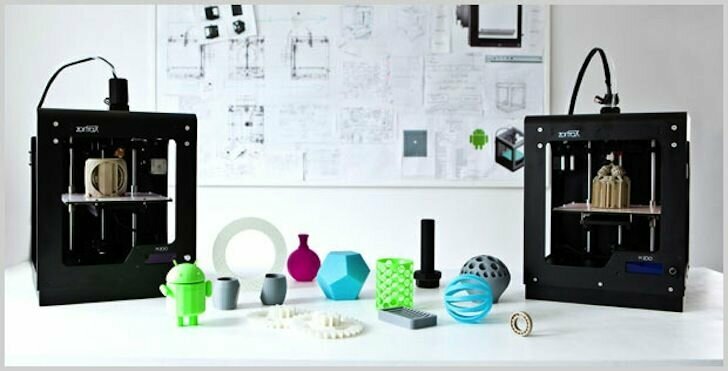 The developers of the Zortrax aim to make 3D printing more attractive, reliable, and user friendly. Their method of achieving this is primarily related to using a sleek and sturdy aluminum frame, sourcing high-quality hardware, and including advanced software. The software is really what separates the Zortrax from other printers, because plenty of printers that use open-source software also have metal frames and nice hardware. The ZSuite software handles slicing, placing and scaling objects, adding supports and rafts, quality and speed selection, and several other features all in a clean and easy-to-use GUI. That’s a big selling point for a lot of would-be 3D printer owners that are currently put off by the complexity of the open-source software chain that RepRaps and other affordable 3D printers rely on. I really like this printer, especially for the $1,899 it’s being initially offered at. Since it comes with software and only comes fully assembled, it’s competing directly with the Replicator 2. The main difference is that the Zortrax is optimized for ABS and the Replicator 2 for PLA. For me, those are reasons not to get either printer. Both plastics have their own bonuses. But if you want a printer that has its own software, there aren’t many choices. The Afinia H-Series prints in ABS and PLA and has its own software; it’s also cheaper, though it has a smaller build envelope too. Still, the Zortrax is very nice. If it supported PLA it’d be my favorite so far.